Want to rank High in Google & other Search Engines? We want to sell backlinks in SIDEBAR / POST of our blogs. Backlinks will be placed for atleast 6 months. Indexed in Google & other major search engines. Inbox / PM me if you want to see PR6 Blog. Note: Must check extras of this GIG, I am sure you will be interested. 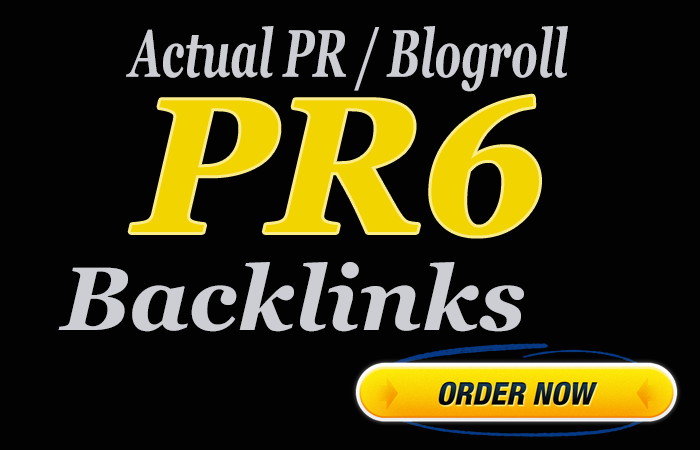 Guranteed 2 X PR6 Homepage Backlinks is ranked 5 out of 5. Based on 6 user reviews.